A protein bar with a caramel layer and peanuts with a milk chocolate coating! If you’re looking for a new and tasty way to enjoy protein in your diet, you’ll love this new Protein Bar! 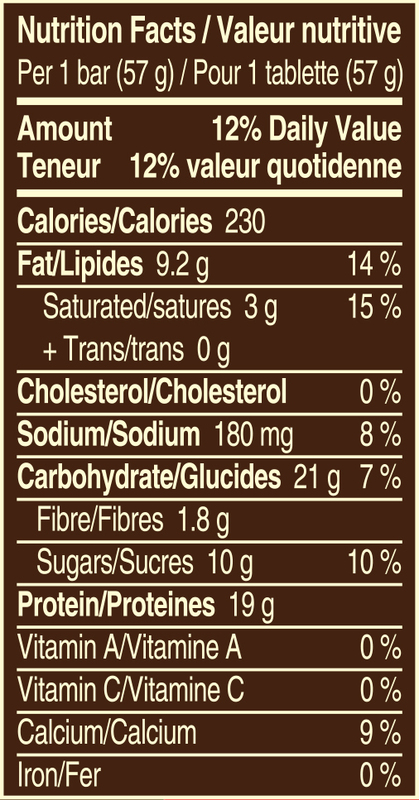 The new SNICKERS Protein Peanut Butter bar contains just 230 calories and has the nutritional profile you would expect from a leading Protein Bar but with all the great taste of your favourite confectionery brand. The SNICKERS Protein Peanut Butter Bar is a delicious combination of nuts, caramel and chocolate with a soft nougaty centre containing 19g of protein. The individually wrapped SNICKERS Protein Peanut Butter Bars can be easily slipped into any gym bag as a post work out snack. 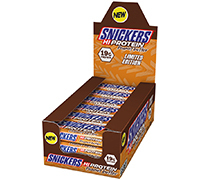 Protein Bars have been taken to a new level with the SNICKERS Protein Peanut Butter Bar. Protein Blend (17%) (Milk Protein Isolate Soy Protein Isolate, Milk Protein), Milk Chocolate Flavour Coating (15%), (Sugar, Cocoa Butter, Skim Milk Powder, Cocoa Mass, Lactose, Whey Protein, Palm Fat, Whey Powder, Milk Fat, Soy Lecithin, Polyglycerol Esters of Interesterified Castor Oil Fatty Acids, Vanilla Extract), Hydrolysed Collagen (14%), Caramel (12%) (Sweetened Condensed Skim Milk, Glucose Syrup, Liquid Invert Sugar, Palm Oil, Butter, Sugar, Mono- and Diglycerides, Pectin, Salt, Flavour), Glycerol, Peanuts (10%), Malitol, Peanut Flour, Sunflower Oil, Polydextrose, Flavours (Peanut Milk), Salt, Colour, Tocopherols. Contains Milk, Soy and Peanuts, May contain Tree Nuts, Gluten (Barley) and Egg. Not suitable for vegetarians.